There’s no denying that curb appeal is of utmost importance to a potential buyer’s first impression, and as we know, first impressions are everything. A luscious, neatly manicured lawn is the most neglected aspect of curb appeal, one that must be addressed in order to sell your home. To ensure your lawn remains healthy, and looks its best, you need to be vigilant, going on a crabgrass crusade to eliminate this menace before it takes over! Should your lawn be infested with Digitaria, or crabgrass, it won’t matter how well-groomed your lawn is. Slip on your gardening gloves and fetch your mower, you’ve got some crabgrass extermination to do. Are you currently trying to fight crabgrass? Well, you are not alone. Individuals all over are experiencing a similar problem. Crabgrass is taking over people’s yards. You can easily spot it amongst turf grasses. Crabgrass just like all the other weeds, hog moisture and nutrients from the soil. Your grass thus ends up lacking enough nutrients. Additionally, your lawn appears unkempt because this plant usually stands out from the rest. Also because of the weird gaping left after it dies. For those who are still trying to identify if their yards are infested, you need to look out for rough, pointed light green blades. Do not mistake crabgrass for a small corn plant. They grow in clumps and spread like wildfire. One seed in one season can aid growth to more than a hundred plants justifying the rapid spread. Additionally, due to its hard nature, it adapts to different environments and can grow in dry soil. It is essential to understand this plant first before proceeding to the tips to fight crabgrass. The seeds of crabgrass commonly, begin to germinate in early spring. In most cases, the lawn owner is probably the one opening the doors to this menace without knowing. Leaving your lawn thirsty and under fertilized is inviting trouble. It makes it vulnerable to attacks. The most irritating thing about crabgrass is the fact that it can survive in harsh conditions. When your grass is suffering from hot summer, crabgrass creeps in and flourishes right under your nose. Annoying right? The key to preventing crabgrass is maintaining a healthy lawn. Crabgrass and weeds can’t flourish within a vibrant lawn full of hefty blades of grass. The application of a high nitrogen lawn fertilizer is one way to foster a dense, verdant lawn. Ensure that fertilization takes place in the first half of the year. The use of pre-emergent herbicides during early spring can halt crabgrass germination. According to GardenGuides.com, the weeds germinate from early winter through late summer. If crabgrass blemished your lawn the year prior, applying an herbicide to your lawn is an important step. Using Siduron for effective crabgrass prevention will not damage grass seed. Below is a list of tips to fight crabgrass. They will help you in controlling and eliminating this menace in your yard. The first step is to maintain a healthy lawn. This persistent weed needs light to grow. Thus you are recommended to mow your law according to the prescribed heights. Mowing has always been related to methods of controlling weeds. Mow high and ensure that there are no gaps in between. Your grass needs to be thick and long enough to prevent the germination of crabgrass. Use the correct amount of fertilizer and water your lawn appropriately. Watering should be less frequent and deep to control the growth and spread of this weed. The type of fertilizer matters because fertilizers with excessive nitrogen ingredients will only harm your grass making it vulnerable to crabgrass invasion. Your lawn will be weak and will grow in patches. Prevention beats cure, and in this case, you are advised to use preventatives. They prevent the germination of these seeds. Notably, they work for about a month, and you will need to wait for a few days before you can proceed to plant your grass. Additionally, reseed the areas that were previously affected to fill the patches properly. The above is recommended after using non-selective herbicides. Ensure that you do not miss a spot when applying the herbicides because the patch will spread covering an even more extensive area. Also, it will be safe to rake off the dead grass before replanting to eliminate the presence of weeds. Most importantly, you should not aerate your lawn after the application because you risk breaking the herbicide’s chemical barrier. Timing is an essential factor. You will be in a position to know when is the best time to apply the herbicide depending on the current weather condition in your region. You must keep on checking your lawn. Just like any other menace, it is better to treat it early before it manifests further. Kill crabgrass before the seedlings emerge. When using organic methods, ensure that you first analyze the crabgrass before pulling. I should mention that pulling can only be done at an early stage. Inspect and establish whether the green seed head is folded up the leaves of this plant. Contrary the seed heads may be spread out indicating that the weed is mature. Do not pull out a grown weed because you will end up scattering the seeds creating an even bigger problem. For those who have had a previous encounter with crabgrass, they will tell you it tends to come back if not adequately dealt with at the time. Thus you will need to lay down mulch in the affected area. For mulching, you can use hay or sticks to increase moisture as well as to fight the weeds. However, do not use excessive mulch. Remember healthy soil combats crabgrass and the seeds that were left behind will experience a hard time germinating. Mowing your lawn at the proper height is more important to preventing weeds than you might think. You’ll want to consult the pros to check your particular grass type and the height it should be cut. Set your lawnmower at the highest setting. The height and density of the grass will inhibit crabgrass growth by blocking ultraviolet light. Crabgrass needs ample ample amounts of sunlight to germinate, so the less it receives, the better. Lowes recommends that no more than one-third of the grass blade should be cut. Leaving your lawn at a greater height will of course mean that frequent mowing is necessary. Inspect your lawn mower’s blades. Are they dull? Blunted blades are conducive to crabgrass growth because the grass blades are torn and damaged rather than cleanly sliced. The grass plants will then use greater amounts of energy to restore the plant back to its former self while leaving scant energy to support root growth. One remedy to this situation other than sharpening the blades, is replacing your current mower with a push reel mower. These manual mowers manicure your lawn, rather than shred the grass and the best ones require blade sharpening once per decade. But which reel mower should you purchase? Mowers Direct recommended the Husqvarna lawn mower as one of the better market options. By using the best reel mowers, your grass will be greener and the lawn should remain healthier as a whole. Once crabgrass germinates, it’s only a matter of time before it propagates its weedy influence throughout your lawn. The weed blooms from July to early September, so be on the lookout within this timespan. When crabgrass weeds invade your otherwise beautiful lawn, immediately yank them from the ground. Ensure that the weed is fully uprooted and either burn it or toss it in the trash. GardenGuides.com recommends that homeowners blanket the area with mulch to stymie the remaining seeds and roots from re-seeding. Every day we face different kinds of battles. Personally, I believe in picking the right battles and fighting until you emerge a winner. 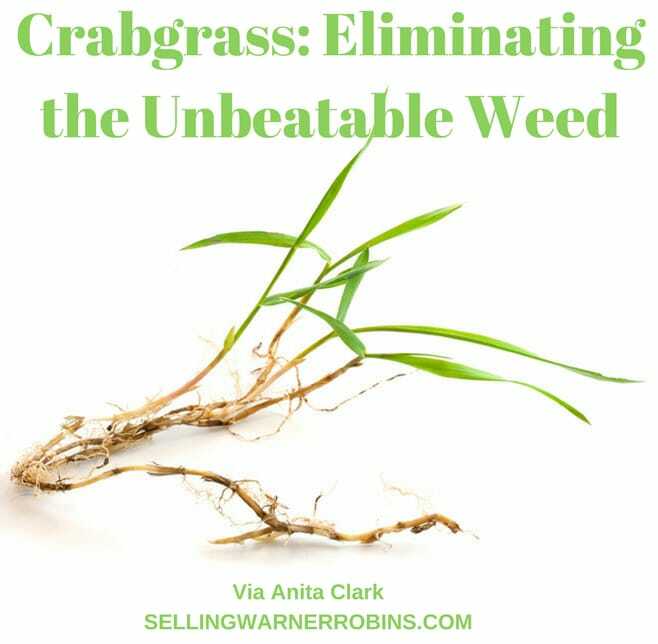 You can win the war against crabgrass regardless of how tough it appears to be. Undeniably, it is known to be persistent and grows mostly during summer. You need to get the facts right. Know how crabgrass looks like, what prompts it to develop and the conditions that favor its growth. The pointers above will be of great help. They will help you to establish the point of attack and the methods that are favorable. Notably, you should understand there are various types of weeds that are almost similar to crabgrass. However, you will notice the distinctions by studying the characteristics. To prevent the invasion, you need to tend to your lawn properly. Follow the tips below for better results. You can decide to go for either old weeding methods by hand-pulling the patches or apply herbicides. It all depends on suits your needs and what you are comfortable with at the moment. However, you should you should exercise care in each method. Avoid practices that may potentially harm you or your lawn. Learn to observe the warning signs especially when using herbicides. You want good results, and you can only achieve this by making the right decisions. Take time to tend to your lawn and watch out for those stubborn patches. Not a reply so much about how to treat the issue as it is to the value it provides like your opening statement provided. 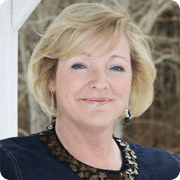 I showed a home this past summer that based on square footage – beds – baths, you know, the usual was price $15,000 over market easily. However, the yard was a perfect 10 – the lawn was mowed at an angle leaving the lines, the flowers were in full bloom, trees perfectly trimmed and so forth. Derrick…it can make the difference between zipping by and wanting to pull in and see what the home has to offer. It is cliche, but we do only get one opportunity to make a good first impression! Thanks for the comments.